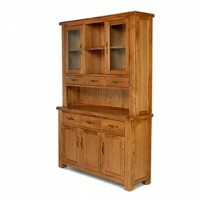 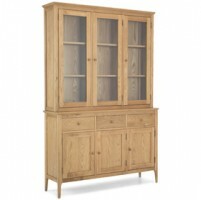 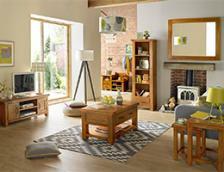 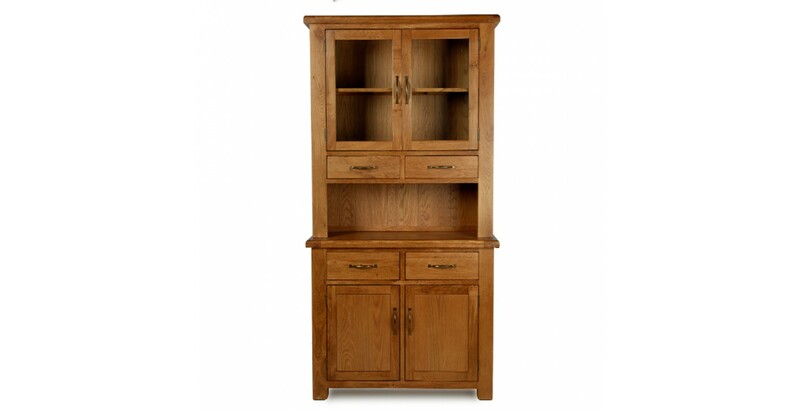 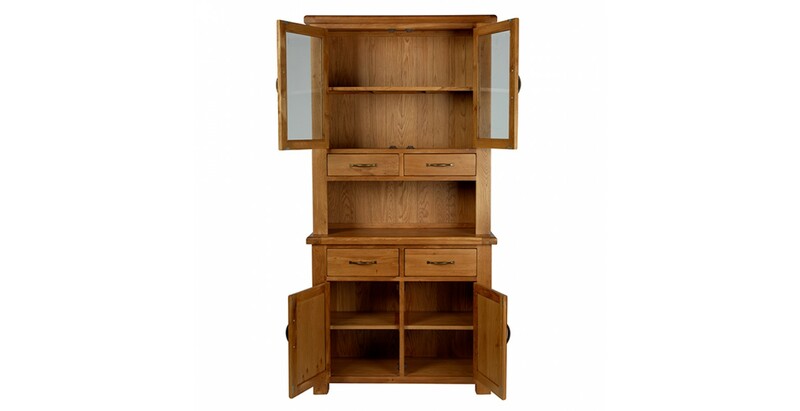 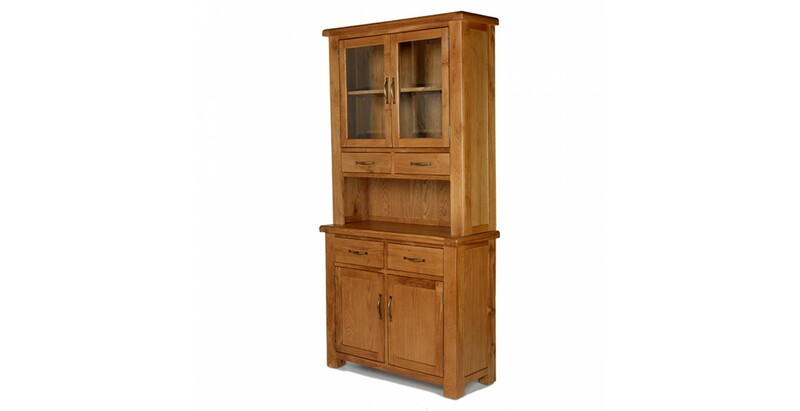 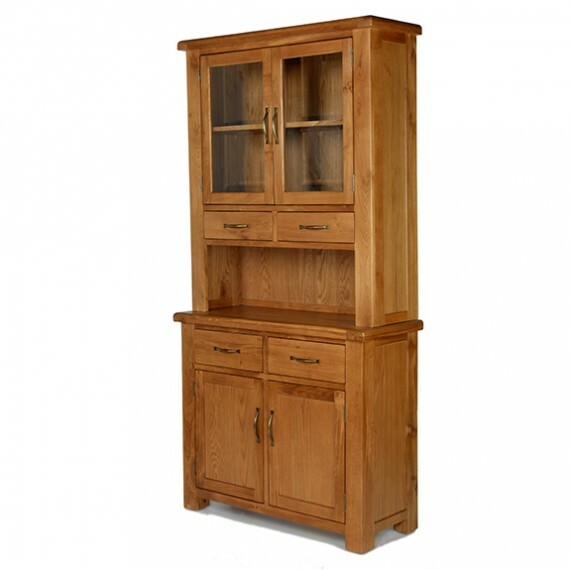 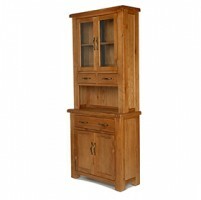 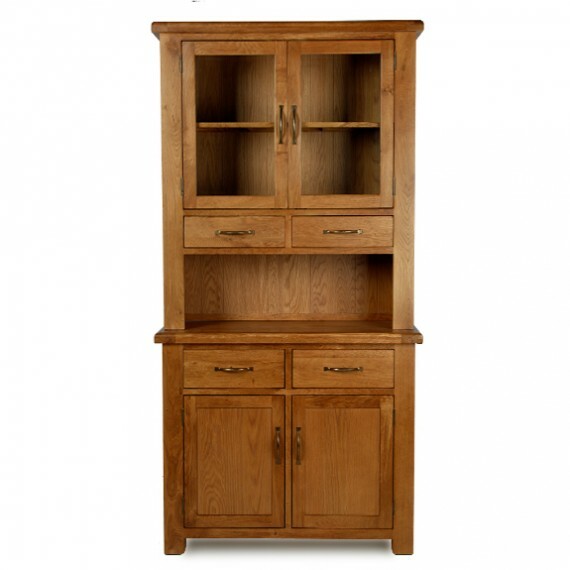 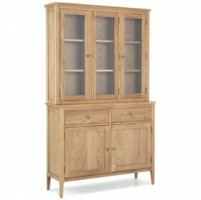 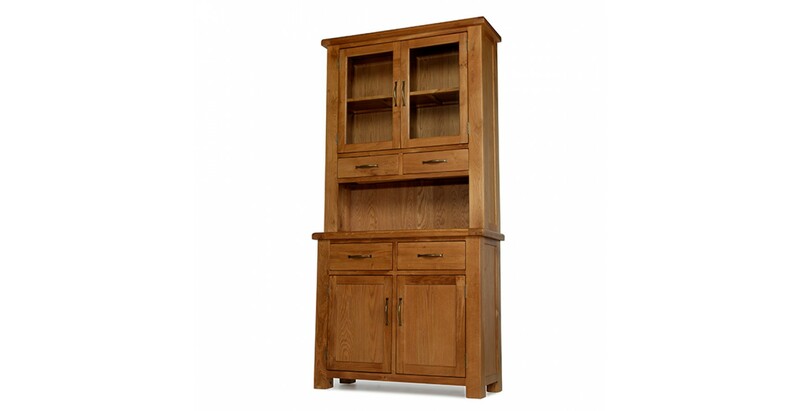 Classic and contemporary kitchens alike will benefit from a dresser like this elegant one from our Emsworth Oak range. 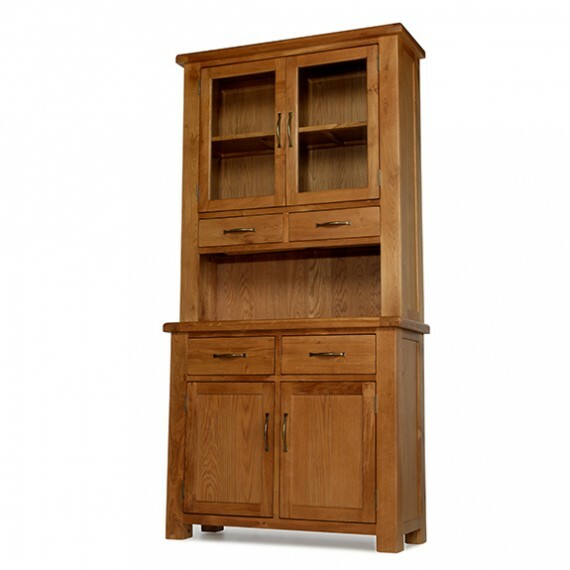 Designed along clean lines to make a delightful counterpoint to its traditional rustic charms, it doesn't shirk on storage space either. 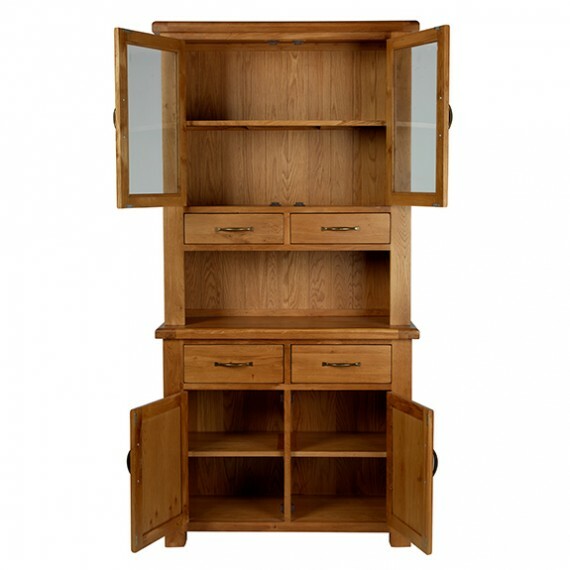 With cupboard, shelf and drawer space to take care of all your crockery, cutlery and tableware, lovely touches like the brass-effect antique-style handles and rounded corners on the chunky surface add to its natural warmth and character. 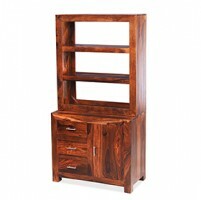 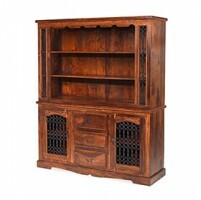 And everything is shown at its finest through the Wax Lacquer Finish that's been applied.